Popular Johnny Cash/Patsy Cline tribute band The Rhythm Riders bring their new show Train Songs to the Auburn State Theatre. 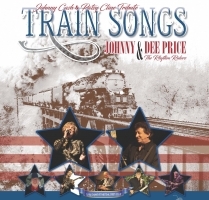 Fronted by award-winning vocalists Johnny and Dee Price, The Rhythm Riders perform their favorite train songs from the best era of Country music. The great Johnny Cash is indelibly linked with trains; his catalog of songs celebrating the steam locomotive attests to America’s romance with railroading. Even his signature boom-chicka-boom guitar sound evokes the massive iron beast rumbling down the tracks. Johnny Price brings Cash’s legacy to life with deep love, respect and authenticity. Presenting well-known songs including Wabash Cannonball, Hey Porter, and Wreck of the Old 97, Price’s rich baritone voice and easy delivery leave the audience feeling as though they have had a brush with the Man In Black himself. Dee Price struts her stuff with spirited and soulful renditions of Patsy Cline, and The Rhythm Riders give attention to every detail. This will be a tremendous show! The Rhythm Riders are: Clint Warner – Lead Guitar; Bob Robbins – Drums; Ross Holcomb – Rhythm Guitar; Roy Holcomb – Bass, and Living Legend of Pedal Steel Guitar Bobby Black. 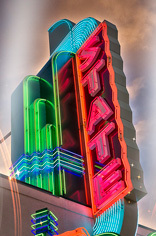 This event has been viewed 487 times.